As one can see from the adjacent chart, MCX zinc has formed a double top pattern on the daily chart. 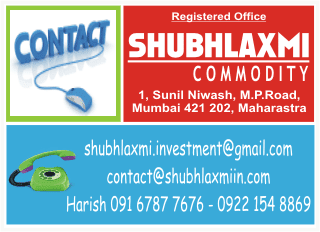 The commodity has breached the key support level of Rs137.50. As per the pattern the downside target comes at Rs130. There is a cross-down on the key moving averages and the Parabolic SAR is valued at Rs146.50. These suggest a bearish view on the commodity. The other technical observations are: the Moving Average Convergence Divergence is valued at (1.23) and the Relative Strength Index is valued at 36. On rises till Rs137-138 one can sell for a downside target of Rs130 (positional). Trade above Rs141 on a closing basis will negate the bearish view on the counter.